After doing some work on standard line infantry I really wanted to return to a character model to perk myself up a bit. 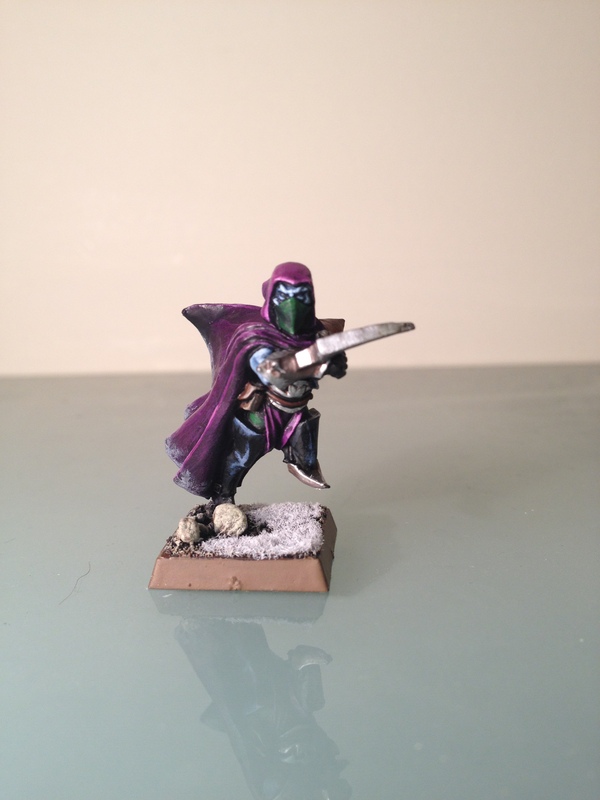 I have three assassin models in my collection so I thought painting one up would be a good start. 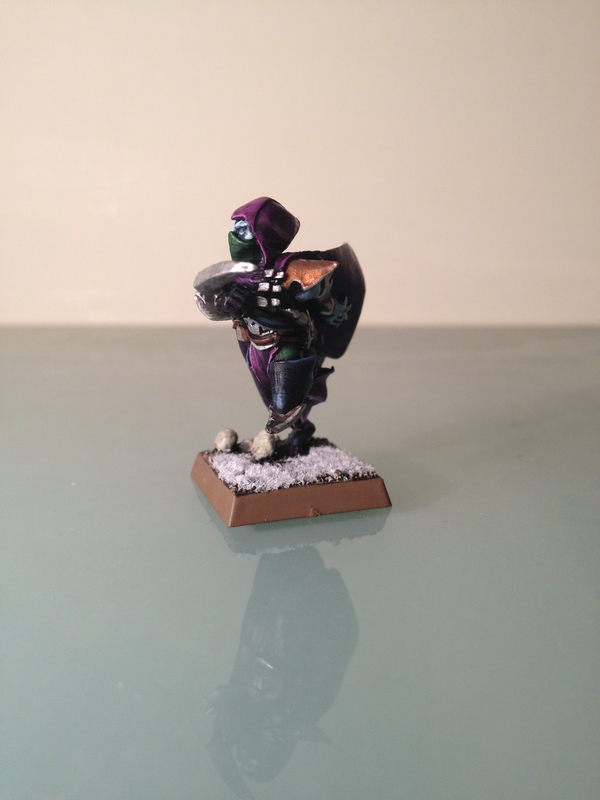 The other thing that motivated this choice is that the assassin have very little in the way of armour so it would give me a chance to try my scheme on a model that had small amounts of metal armouring. I really enjoyed painting this character, I love the posing and style of it and I think my colour scheme came out really nicely. I will probably end up painting my shades in a similar style to this and the other assassins. 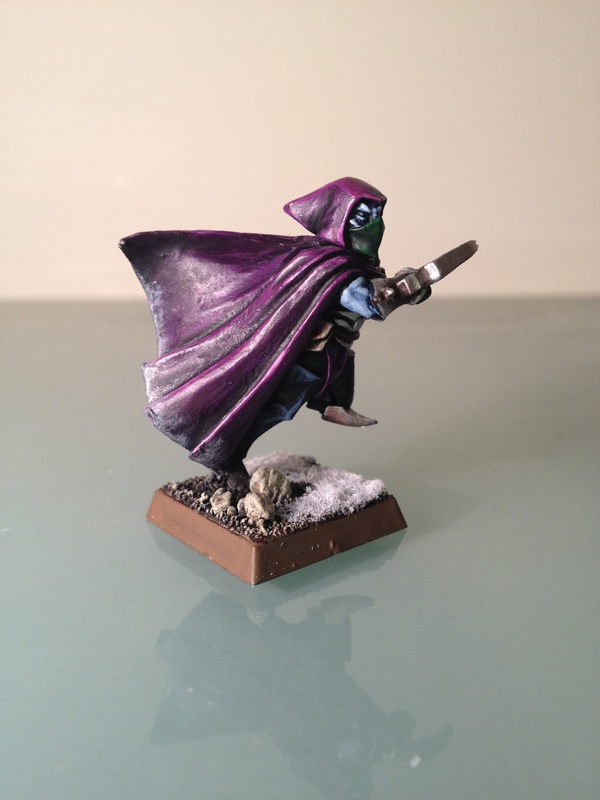 After some online feedback I toned down the green on this model so it wasn’t clashing to heavily with the striking purple. Seemed to get a nice effect here. Next I am going to finish a few more spearmen and some crossbowmen. I think next will be an article on my colour scheme or some pictures of a regiment on its custom made movement tray all ranked up. ~ by Evazorek on January 20, 2012.